First, let me say clearly, I am a proud member of the United Mine Workers of America. I have worked for 35 years in the coal mines of southern West Virginia and for much of that time I have served in various leadership roles in my local union. Sometimes, however, it is important to stand up and say plainly that something is wrong and in my mind I saw that this past weekend at the “West Virginia Rising” rally in Charleston. The rally was billed as a labor rally. I did see a lot of labor unions represented. And probably several thousand people were there, from West Virginia and bused in from across the country. One thing I was struck by during the rally was the lack of real focus on issues related to coal. The rally brought together groups that have very little in common with coal miners. Many of these groups were the very same ones that supported Obama — not once but TWICE. I was left asking myself where these people were for the past six years. They weren’t protesting for mining jobs, that’s for sure. Then you had The American Federation of Teachers (AFT) and its President Randi Weingarten supported both the election AND re-election of Obama. She also supports Obama’s effort to kill coal jobs. “We strongly support the EPA’s proposed plan to cut carbon pollution from existing power plants,” Weingarten has said. And when I looked around at the group, I saw many familiar faces of people who I have seen at public meetings and at hearings testifying or speaking in opposition to coal mining. What did most, if not all, these groups have in common? They are part of the Blue-Green Alliance – a group of left-oriented labor unions and environmental groups put together by AFL-CIO President and former UMWA President Rich Trumka to support the policies of the Obama Administration. Trumka may have come from the United Mine Workers of America, but he quite obviously no longer has the well-being of coal miners and their families at heart. Oil and water don’t mix and if you mix the two you are in trouble when you try to use it. I, for one, am not a hypocrite. I am for ONE THING – our coal mining jobs. I don’t care which side of the political fence a friend sits on as long as he or she is a real friend – a friend 24/7. We don’t have to agree on everything, but friends wouldn’t actively try to harm each other. 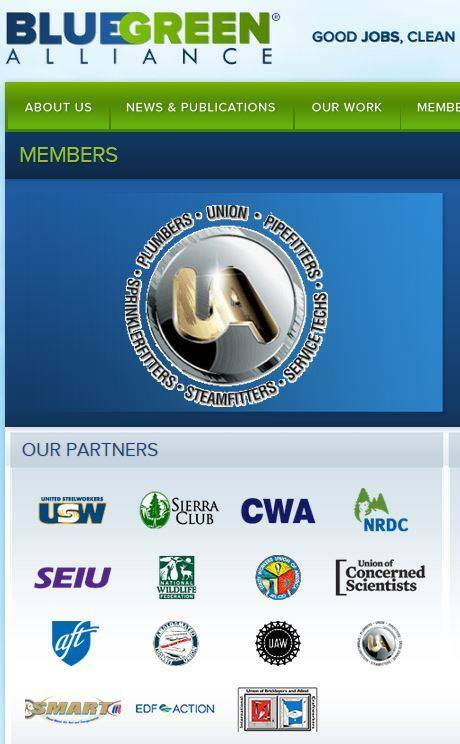 The Sierra Club, the AFT and SEIU and many of these other groups have gone on record opposing coal mining. They have gone on record supporting the Obama Administration TWICE and every step along the way as they try to shut down coal-fired power plants and kill coal jobs. And they can’t have it both ways. They can’t pretend to be my friend and cut my throat at the same time. I disagree with several of the things currently under consideration by the West Virginia Legislature, but we can’t lose sight of the fact that several of the groups at the rally are directly opposed to coal mining. Our coal mining families, those laid off and those worried every day about being laid off, need help. We don’t need empty promises by fake friends, no matter which side of the political aisle they happen to be on.